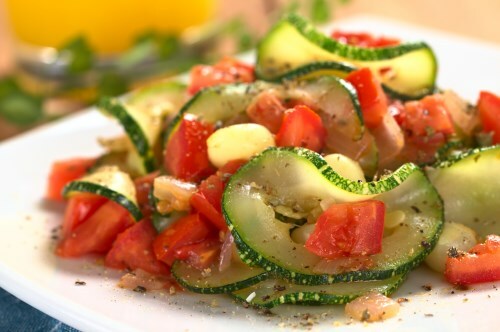 In a large saucepan, combine squash, zucchini, tomatoes with chiles, onion, salt and garlic powder. Bring to a boil over medium-high heat. Reduce heat to low and cook until tender-crisp.